Creative Assembly have said to PCGamesN that a port of Total War: Rome II to Linux to support SteamOS gives them no worries. So strategy fans it looks like quite a beefy title is heading our way! Creative Assembly the team behind the Total War series visited Valve's offices to play with the Steam Controller and talk about SteamOS/Linux, they then spoke to PCGamesN on it all. Quote We’ve certainly got no worries about Linux as a platform, and as you know, we’ve appeared on the SteamOS page, and our intention is absolutely to support the OS. 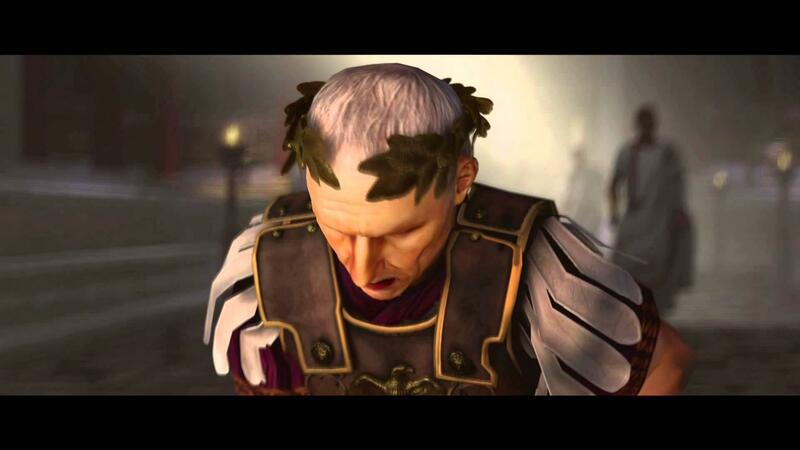 Hopefully if Rome II goes well for them then they will look at porting their older titles over to Linux as well. I have not bought this game yet, but I have every other Total War game on Steam in my library. If they really do port it, I will buy it [wonder if they'll port some older titles like Total War Battles: Shogun which was made with Unity3D]. I'm still waiting on Metro Last Light and the new Tropico too. I really can't believe how many new and huge titles we are actually getting for Linux since Valve jumped into the picture! The should port Shogun 2. It's more polished and IMO a better title overall. But good news nevertheless. This is where things start to get vague (not soecifically talking about this article). If a company says they'll support Linux, but really only mean the streaming through SteamOS, that's really not the same thing. I think the biggest problem with SteamOS is that it doesn't exist yet (public,beta,etc), so a company can't really define what it means to support it natively (I.e Linux as well). Every game works on SteamOS, but not every game on SteamOs works on Linux. This is kind of like "Every square is a rectangle, but not every rectangle is a square." Quote from n30p1r4t3 This is where things start to get vague (not soecifically talking about this article). If a company says they'll support Linux, but really only mean the streaming through SteamOS, that's really not the same thing. I think the biggest problem with SteamOS is that it doesn't exist yet (public,beta,etc), so a company can't really define what it means to support it natively (I.e Linux as well). SteamOS it does not exist yet, it shouldnt really a problem I think everyone is aware that it will be based of Ubuntu, so the devs can just aim to make their game work with Ubuntu. Fragmentation in general how always been a source of concern from devs how to supports all of these distros? I think if steamOS becomes the standard for gaming on linux it will be better for everyone. I think its clear that valve is aiming for native software coming to Linux otherwise why bother doing all of this work with the drivers, debugging etc, if it was just about a small box for streaming. I would've never believed that Sega would become a Linux publisher and yet here we are with Football Manager 2014, The Cave and now one of the Total War games. I agree with you. But I'm not talking about valve games. I was not really talking about valve games(half-life, dota 2 etc) specifically ither, but valve is more or less pawing the road ahead for other game developers such as creative assembly discussed in this article and many others by releasing their games(valve) showing everyone else how its done properly. Even if another dev like for example Crytech or Dice were to release some titles for Linux they could still reap the benefits of the work that has already been done by valve and other devs on the Linux side of things. "...if we released a version of Rome 2 for SteamOS..."
That "if" doesn't sound like a confirmation to me. wait the SteamOS is confirmed to be based on Ubuntu? Really, I use Ubuntu as my OS, if Valve choose other distro to be based in no problem for me, I know they will tune everything in to be very optimized, I didn´t read any official statement from Valve about this, so I am treating it as pure rumor (maybe they created their own distro not based on anything, who knows? ), the most important for me is that Valve is attracting important game developers that wouldn´t be developing or interested on Linux in another scenario, if some games will work in SteamOS and not in other distros, what is the problem? SteamOS will be free, so we can continue with our preferred distro (Ubuntu, Arch, Gentoo, etc...) and install it too, some things are happening in the Linux game scene that I couldn´t think they would happen some day, Valve is doing an excellent job in my opinion.